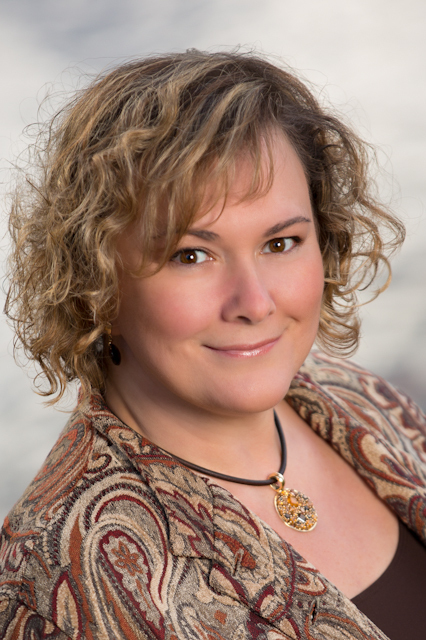 Ludmila is an accomplished Intuitive and Holistic Practitioner, Certified Holistic Nutrition Counselor (HNC), Certified Reiki Master/Teacher (RM/T), Certified Meditation Facilitator (CMF) and a Member of American Association of Drugless Practitioners. For over 18 years Ludmila has helped numerous clients achieve physical healing, eliminating pain, greatly reducing stress and dramatically improving feeling of well-being. Through the Healing sessions which may combine Energy Healing, Intuitive counseling and Naturopathy, Ludmila can help you to eliminate causes of sickness, and clear mental and emotional blocks that prevent you from feeling well and living the life you really want to live. Through the unique blend of intuition, the ability to channel Energy and the knowledge of naturopathy Ludmila removes toxins, releases blockages, rejuvenates and provides her clients with vital, healing energy. Being a Holistic Practitioner, Ludmila is very well aware of nutrition’s vital role in her client’s health. Therefore, she offers her clients, adults and children alike, a Nutrition and Wellness program. Through her practice, Ludmila has helped numerious clients with diagnosed and undiagnosed physical pains, chronic and acute conditions to overcome or greatly elevate issues related to Anxiety, Depression, Migraine, Thyroid Issues, Gout, Fibromyalgia, Diabetes, Sciatica, Back Pain, Sport Injuries, Irritable Bowel Syndrome, Urinary Tract Infection, Diverticular Disease, ADD and ADHD, surgical prep and recovery, support during pregnancy and childbirth and much more. ARE YOU ON A SEARCH FOR BETTER HEALTH? fill out Contact Me Form. Throughout my life, I have met and dealt with a number of real and self-proclaimed psychics/healers. So I can compare and evaluate them; and I am positively convinced that Ludmila is a real thing. I was suffering from low back pain, and I tried everything including hormone injections. Nothing helped me until I met Ludmila. After the first session with her my pain substantially decreased, and after a few more sessions it was completely gone. For 18 months I was pain free. Then it came back, and my natural reaction was to call Ludmila. Again, it took a few sessions to separate me from my pain, and it's gone once more! What makes Ludmila so special in comparison with other energy healers is her multifaceted holistic approach to human health. Her total wellness method organically combines energy healing, Reiki technique, meditation, nutrition (including diet and essential vitamins and supplements) and spiritual guidance. If you are suffering from physical and/or emotional pain and looking for help, I strongly recommend you to check Ludmila out. You will be glad you did! Ludmila has helped me in the past on numerous occasions to deal with my anxiety and to be able to sort and juggle my busy life at work and home. But several weeks ago she actually had a session with me over the phone, when I was over 1000 miles away from her. The result was the same as if i was sitting in her very comfortable studio. I highly recommend Ludmila to anyone who needs to get back on their feet because of the illness or emotional trauma. Her priority is always to look at you not as a patient, but as a whole person and patch up pieces that are missing or out of place. Again, highest mark possible. I originally started seeing Ludmila at Boston Holistic Healing for my back pain, but did not expect that my anxiety would get better as well. I have always had underlying back pain, and had tried everything from chiropractic therapy, physical therapy, and massage to help relieve the pain. As a pharmacist, I stand for sometimes 12 hours at a time, which exacerbates my pain. At the beginning of my pregnancy, I realized my back pain would only continue to get worse and needed to find a natural solution. My parents recommended Boston Holistic Healing - my father had been telling me for years that Ludmila had completely healed his back pain. I began to notice a reduction in my pain after the first sessions, and now, a couple months later, the constant pain I was living with is virtually gone. Not only has Ludmila helped me with my back, but she has helped me on a spiritual level as well. After several weeks seeing Ludmila, I have noticed a significant improvement in my anxiety. I am much more calm and centered and able to handle difficult situations which would normally invoke stress and anxiety. This has been a tremendous change in my life and has greatly improved my experience of my pregnancy. I am truly grateful to Ludmila for all that she has done for me! © 2017 Boston Holistic Healing Center.